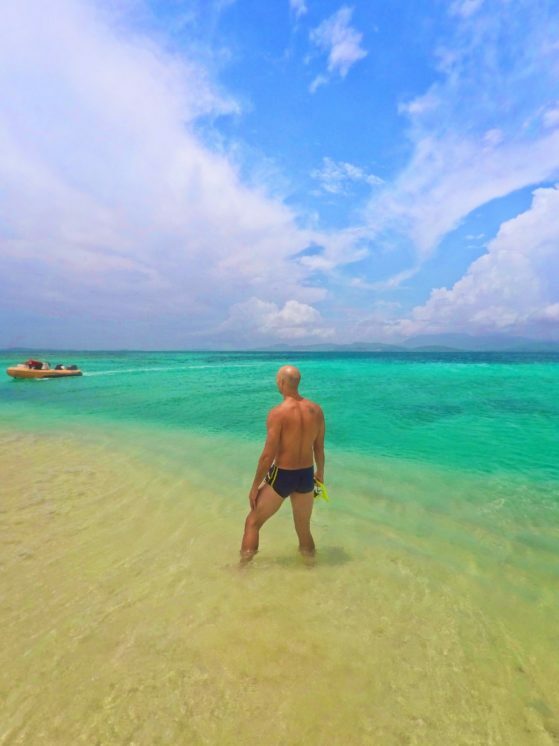 Do you ever know that there’s a place you want to visit but you’re not sure where to begin or what’s attainable in one trip? Well, that’s a problem we face a lot. We expect that we can experience the majority of a place but then don’t understand the actual layout of the area and all of the distractions we’ll face. Enter Puerto Rico. 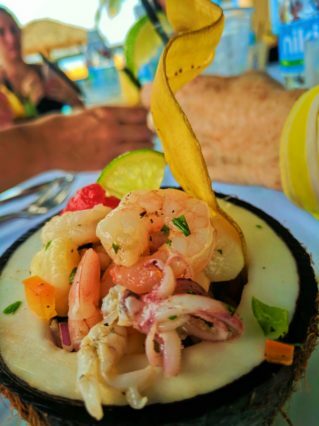 A fantastic way to visit Puerto Rico is to pick just one portion of the island and roll from there. 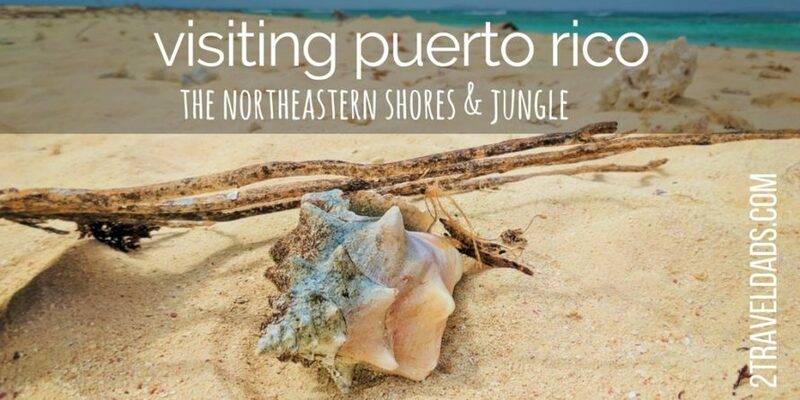 Northeastern Puerto Rico is an ideal area to experience everything from tropical waters to towering rainforests, totally chill resorts to expansive stars at night. 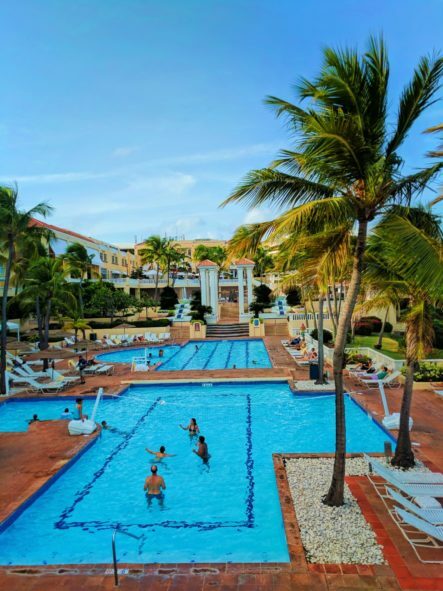 Since this trip was a first for me and I wasn’t sure just how accessible or safe some of the big ticket experiences would be, the fam stayed home while I scouted it out… and now I know just what we’ll all love together next time we visit Puerto Rico. DONATIONS OPTION: with the devastation that hit the Island of Puerto Rico, now more than ever they need to support of their fellow Americans and tourist. 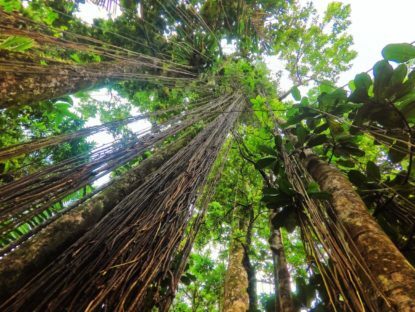 In addition to planning future travels to Puerto Rico, please consider the good a donation to reputable foundation, such as Direct Relief, can do. Direct Relief puts 99.4% of its funds into its support efforts. 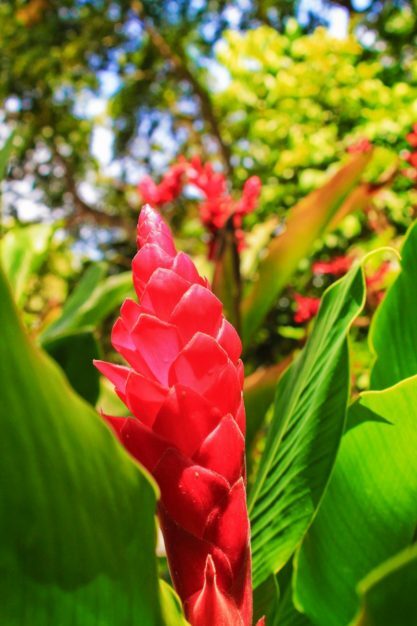 When it comes to Caribbean travel, Puerto Rico has a hand up on other islands. Being a territory of the United States (OMG, it should be a state. 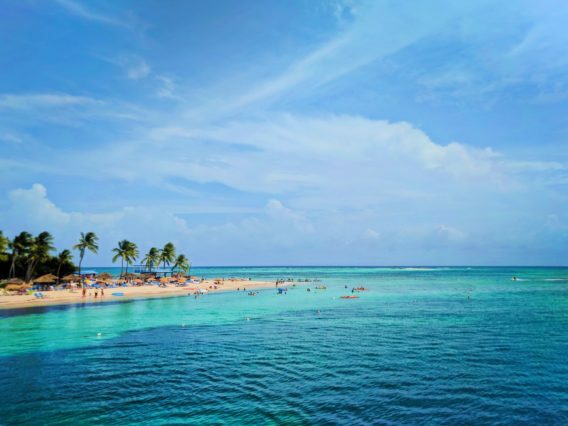 Whatever…) US Citizens can visit without a passport, or international visitors can get to Puerto Rico with the same visa requirements as taking a trip across the continental USA. And since it’s part of the USA, Puerto Rico runs off the US Dollar. There is no pondering exchange rates. There’s no weird pricing structure and there’s also no wheeling and dealing on goods. A lot of people love the bargaining process, but just like you wouldn’t necessarily do that in a shop in Southern California, you wouldn’t do that in Puerto Rico. Note: a funny question that came up prior to this trip was if any shots or health precautions are needed. 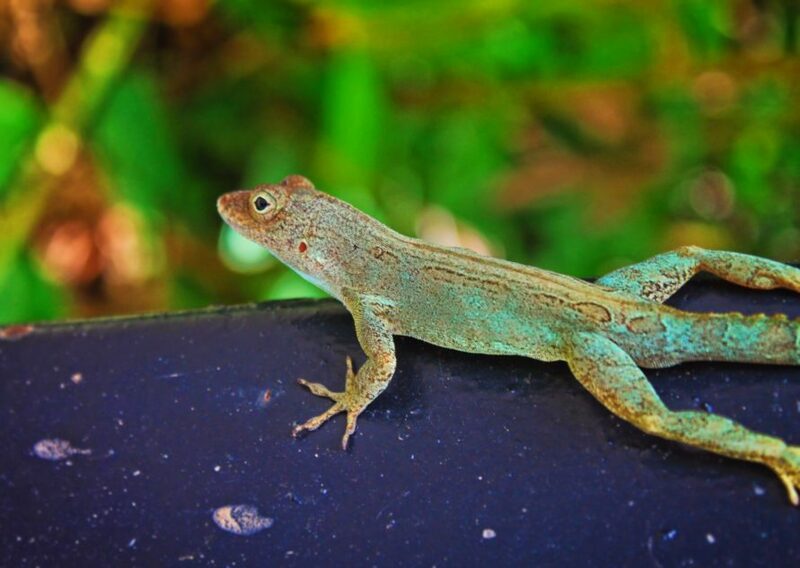 The answer is basically no, but just like with any Caribbean destination, including Florida, you’ll want to be wary of mosquitoes due to the potential of Zika Virus. Remember, Puerto Rico is an extension of the USA which makes it more simple and less stressful for some than visiting Mexico or the Domenican Republic. 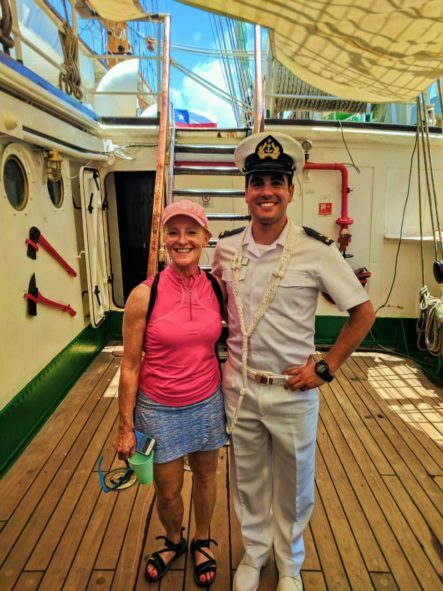 While Spanish is the primary language we had zero experiences, either on the east coast or in the San Juan area, where we needed to use it as nearly everybody we encountered everywhere spoke fluent English. Yes, we went off the beaten path; yes, we went into the mountains; yes, we traveled beyond our hotels, but no: no moment of panicked tourist unable to communicate. Tip: still be prepared to communicate in Spanish both in the event you must and as a courtesy to the residents you will no doubt interact with. Note: the Puerto Rican Spanish accent is quite different from Mexican Spanish. There are also words and phrases I’d never heard… and my Spanish accent was odd to some people I talked with. Just saying. Travel planning is so important, especially when you consider the cost of travel experiences these days. Sure you can deplane in a new land and let the wind take you, but that just isn’t the smartest plan. 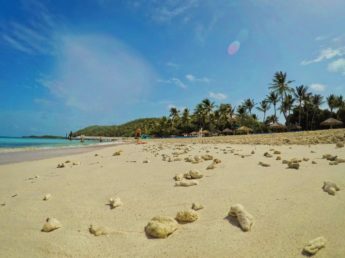 When you visit Puerto Rico you’ll want to determine your goals: adventure or relaxation… or both. If you’re traveling with kids, you’ll want to consider their level of engagement and physical skill. 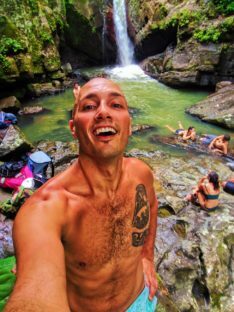 Tip: if you visit Puerto Rico with a larger group or have travelers with a broad age/physical skill set, be okay with splitting up for the day. 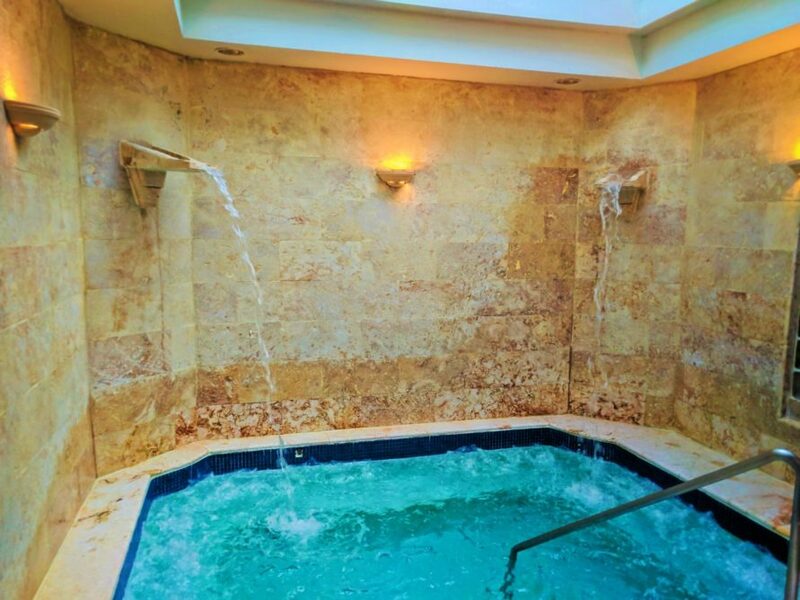 Having a spa day may be perfect for some while jumping into waterfalls may be a dream for others. 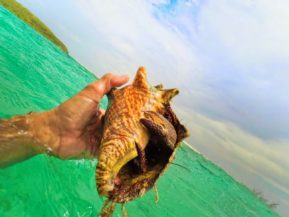 Like we always remind with our articles WE DIDN’T DO EVERYTHING that you can experience in the area, but did do our research in advance and had an unforgettable time both being adventurous and relaxing, and that’s why we say that the following are the top activities when you visit Puerto Rico’s east coast. Ever since seeing tropical rainforests in movies and cartoons as a kid, it’s been a bucket list item to go hiking through the jungle surrounded by dripping vines while clouds moved through the trees. 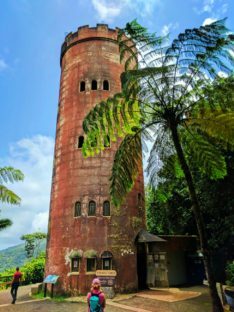 El Yunque National Forest is just that. It’s full of waterfalls, the most epic vines and rooty trees, and more creature sounds than you can imagine. 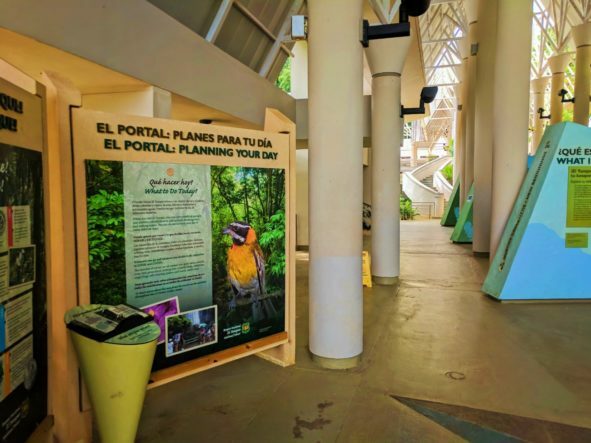 There is a great Visitors Center at El Portal that is the perfect stop to get your bearings and learn a bit about the vegetation and animals you’re about to see. Tip: take time to talk with a ranger about any road condition issues or warning before you head off into the mountains. 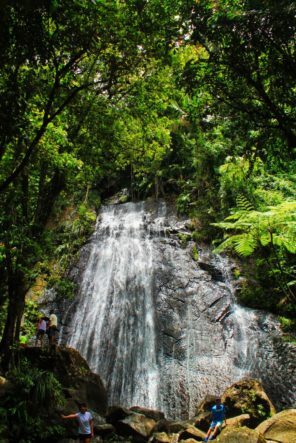 Flash floods DO HAPPEN in the rainforest and El Yunque National Forest’s roads are windy and suceptable to damage. Doable with kids: yes! There are lots of sights that are easily accessible from the roads and there are kid-friendly hikes as well. We love kayaking and do it all the time. From the marsh lakes of Wisconsin to ecotours in Florida, it’s our favorite way to gently get into nature. 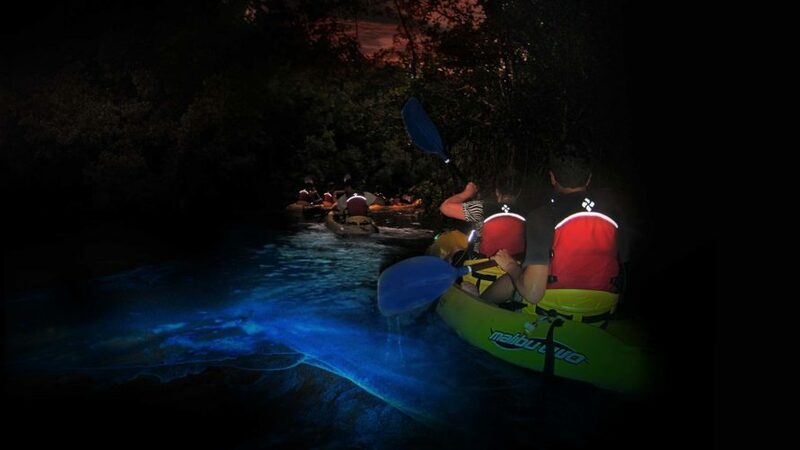 Kayaking with the chance to experience the bioluminescent waters of Puerto Rico is a must-do. If you’re unfamiliar, bioluminescense is a visible light reaction that you can see when certain organisms, such as plankton, are disturbed. In the Fajardo area on Puerto Rico’s east there is a brackish lagoon called Bio Bay. 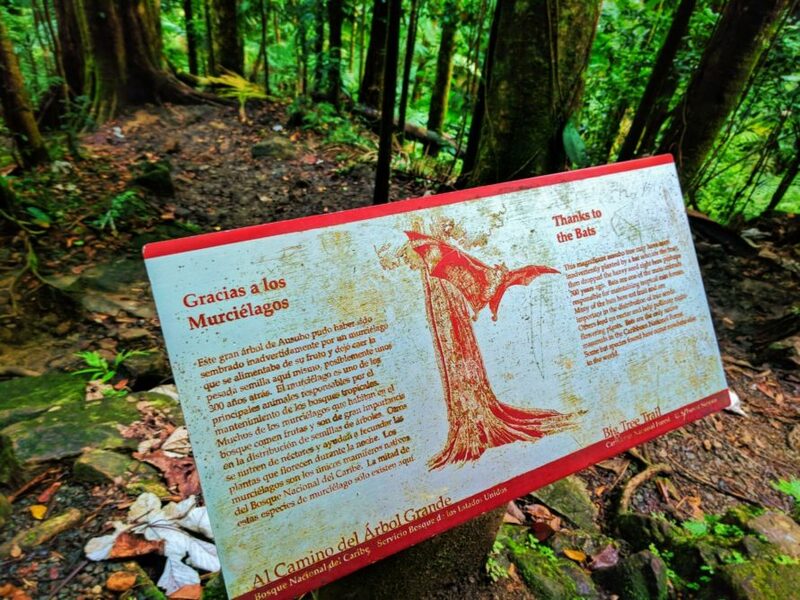 It’s part of the Cabezas de San Juan Nature Reserve and it’s a pristine slice of nature. 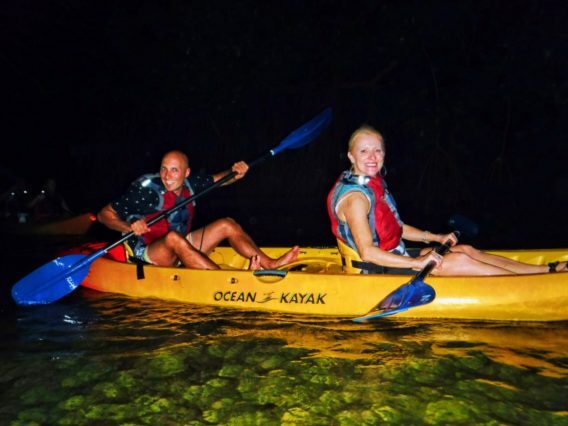 Going with a licensed guide, you can kayak through the most epic mangrove tunnel outside of the Everglades until you reach Bio Bay. There are no lights anywhere and you’re paddling in near pitch black conditions. As you get closer to the lagoon, the water starts to light up with every stroke. Wiggling your fingers or feet in the warm water below creates even more bioluminescent activity and then with the stars above you… It’s unforgettable. Tip: if you’re going to be on the island of Vieques when you visit Puerto Rico, Mosquito Bay is also reserve where you can experience bio-luminescence via kayaking. Note: this is an experience you can only remember. Photographing the bioluminescense is impossible without a highly specialized camera, so adjust your expectations now. Doable with kids: no, if the kids are scared easily or struggle to control themselves. This is a very calm and special experience for all that participate, so be wise about bringing small kids. 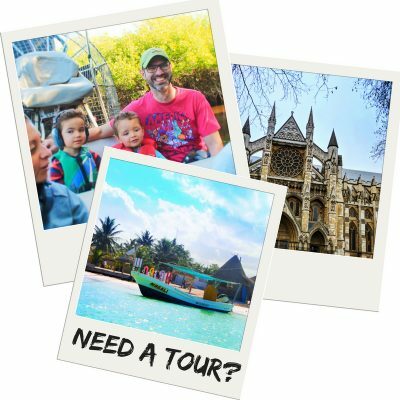 Yes, if you’re visiting Puerto Rico with older kids (6+). Kayaking in the dark is really cool but also really creepy. To keep everyone’s eyes adjusted for viewing the bioluminescense there are no flashlights or spotlights except used by guides in emergency situations. Oh snorkeling! 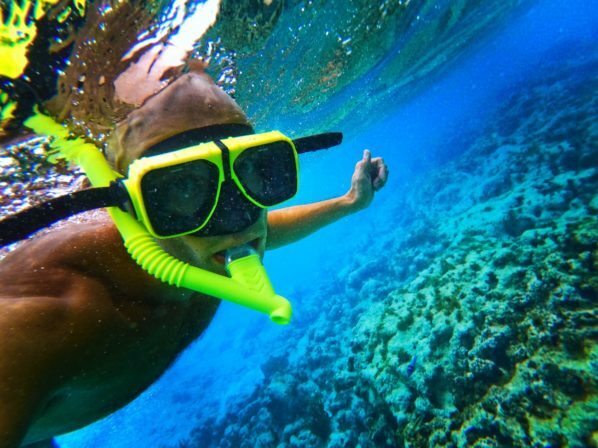 What travel experience to a tropical destination is complete without snorkeling? 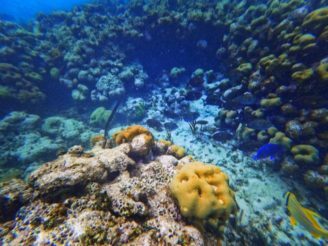 We do a lot of snorkeling in Mexico, from Playa del Carmen to Cabo San Lucas, and the underwater life in eastern Puerto Rico is just as rich and totally different. 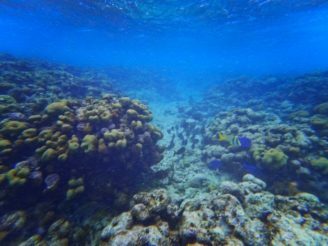 The brain and fan corals of Eastern Puerto Rico make for some fascinating reefs to explore. 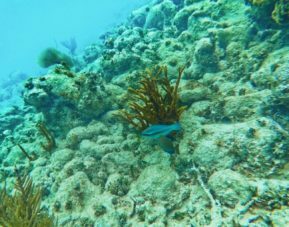 There are all kinds of reefs and trenches along the coast, so whether you’re a surface snorkeler or somebody who pretends to be a diver without tanks (like me) you’ll see some incredible wildlife. Sea urchins, stars, and more. 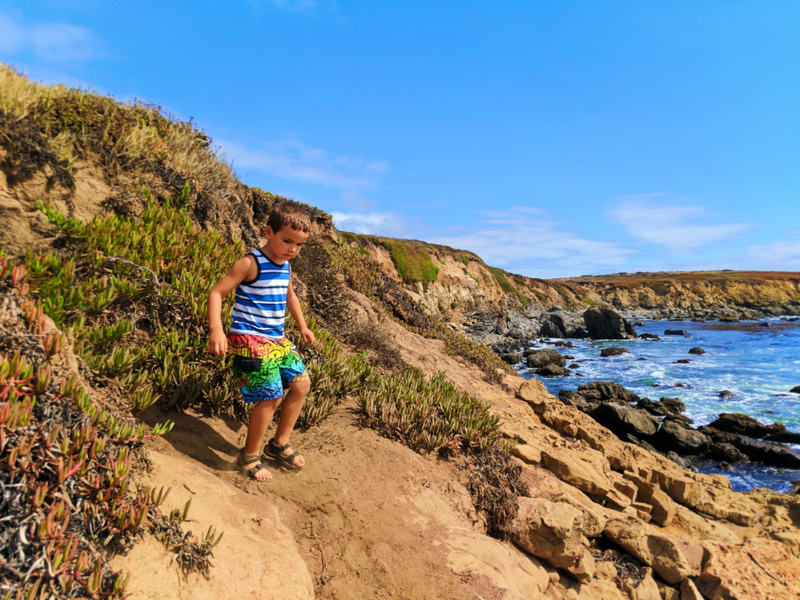 Doable with kids: yes, but not every beach is recommended with new swimmers. 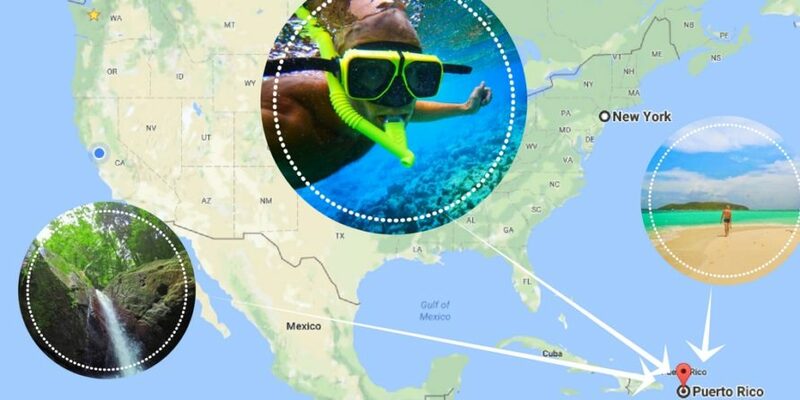 Eastern Puerto Rico is where the open Atlantic Ocean and the Caribbean meet, so the winds and currents are VERY strong and could prove dangerous for the novice snorkeler or weak swimmer. Just know that when you visit Puerto Rico you’ll most likely get a day or two of rain. The rain may be breif or completely epic. 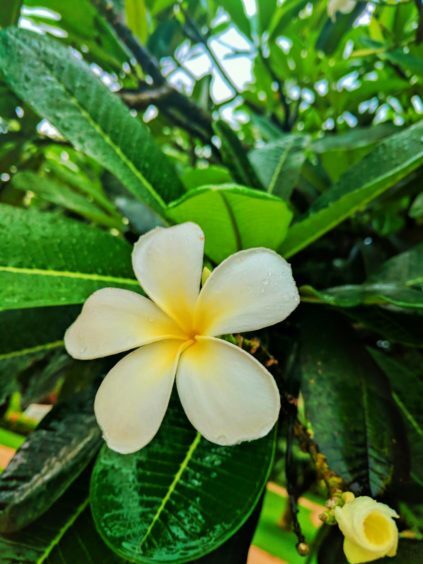 There are some great options for making the most of rainy days in Puerto Rico, including spa visits, dining, hiking in the rainforest (hello, it’s called the rainforest for a reason), seeking out art, shopping, and enjoying everything rum-based. While staying at the El Conquistador Resort in Farjado a rainy day getting a massage and just relaxing in the niwa totally ate up spare time while the lightning was going crazy outside. 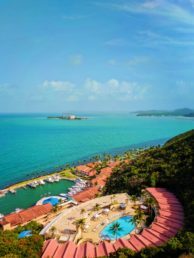 True, you may not be staying at the Waldorf Astoria when you visit Puerto Rico, but all of these suggestions are great fillers wherever you may be. Note: it’s also tons of fun to go swimming in the rain, but when there’s lightning, you need to be wary and stay out of the water. Nobody wants to fry their brains on vacation. 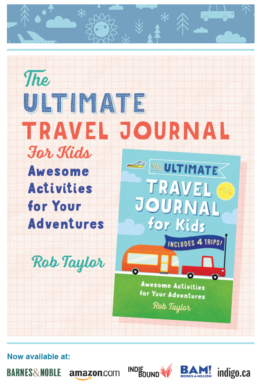 Ideas with kids: we always travel with a few coloring books for the rare moment we need them. Also, with our oldest starting home-schooling, we will be bringing his laptop and lessons when traveling, so homework is perfect for waiting out the random Puerto Rican storm. With so many options for travelers, from AirBNB to resorts, there’s a lot to consider when choosing accommodations. 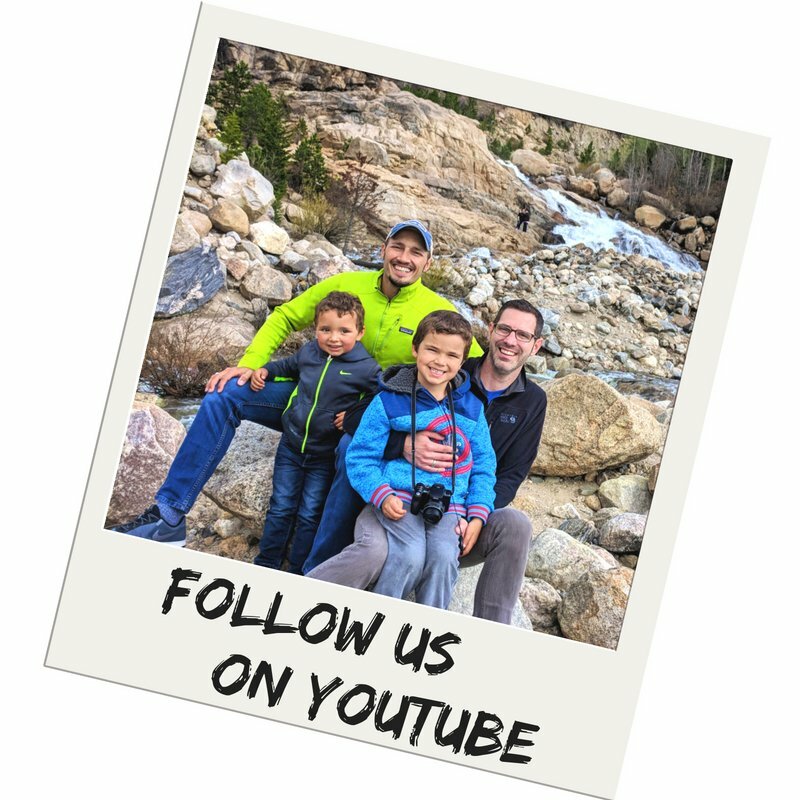 Things we look for as a family are proximity to sites we want to visit as well as immediate access to the outdoors, both in terms of pools and nature. 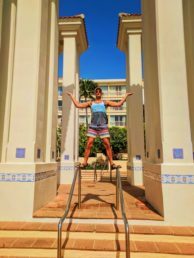 El Conquistador Resort was homebase for this Puerto Rico visit and it was perfect for our itinerary and needs. 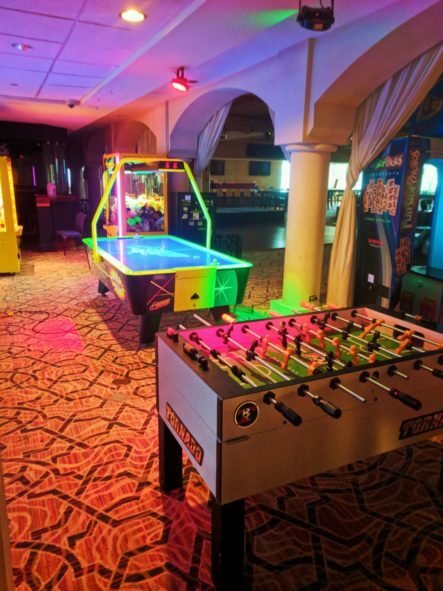 There was a variety of indoor activities including a family arcade, shopping, and countless restaurants; we actually could’ve stayed there the whole time and been content (but we love to explore!). 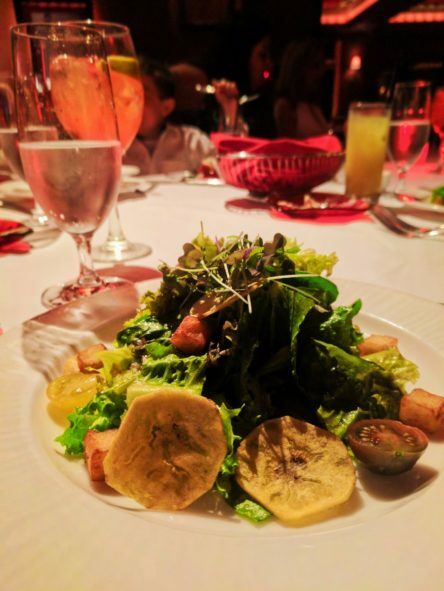 And the food was delish, particularly Chops Steakhouse. 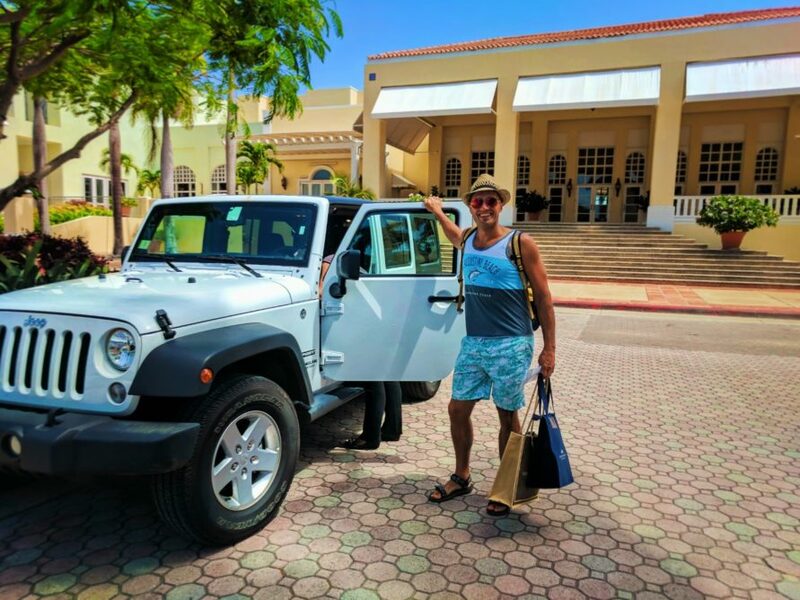 Tip: if you’re planning on the fly and aren’t sure what your full itinerary will be when you visit Puerto Rico, El Conquistador Resort has an Enterprise Rental Car location on property. We used it to get to El Yunque National Forest. The rooms are very nice with plenty of bright space and outdoor access (large balconies). There are several pools around the property, including a lap pool and a swim-up bar. Also a part of the resort is Coqui Waterpark. 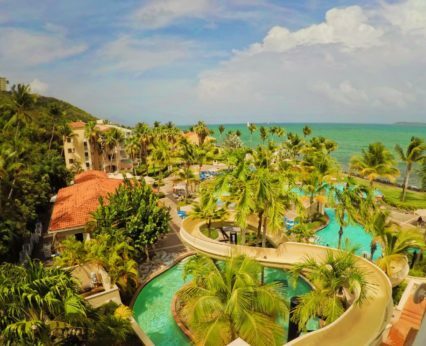 It is an additional fee to enter and enjoy the waterslides, lazy river and pools, but if you are up for it and want to enjoy both the park and amazing Caribbean view, spend an afternoon. 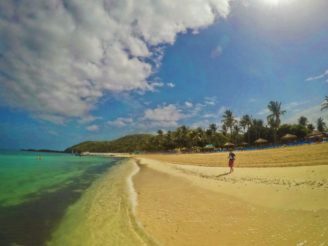 A huge bonus to staying with El Conquistador Resort was access to their private island, Isla Palomino. 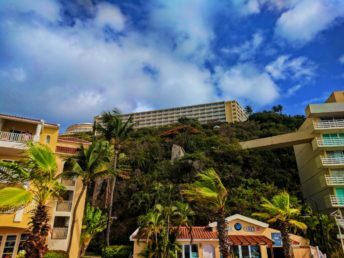 Perfect beaches, a coral reef, lounge chairs and palapas, watersports rentals (kayaks/SUP/skis), dining: it’s basically everything you think of when you’re looking for a luxury resort or family vacay. 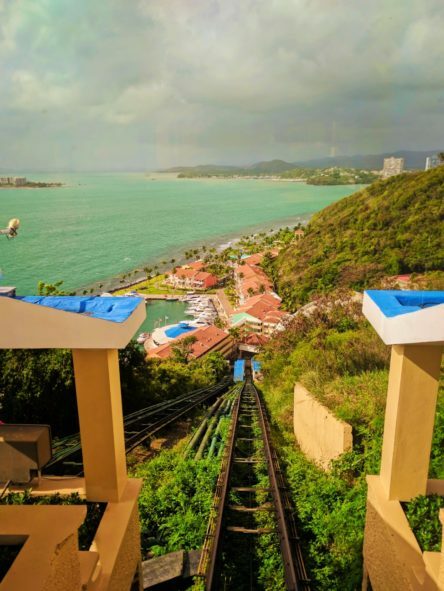 Oh, and to access the ferry to Isla Palomino or to get to Coqui Waterpark there is a funicular (cable car) that carts guests up and down the steep hill from resort to marina level. Tip: when choosing your accommodations, take into account the additional value a property provides beyond the room you’ll sleep in. 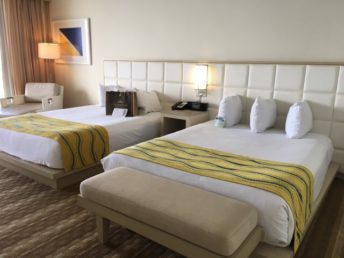 Sometimes paying more for a hotel room saves you money in the long run when you consider the dining and tours you might be planning separately that are worked into the full resort experience. Good option with kids: yes! 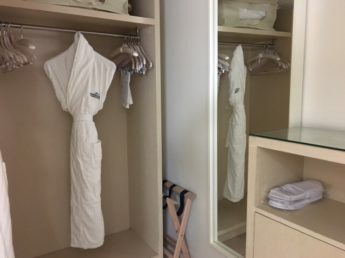 The El Conquistador has everything from a game room to scavenger hunts around the property. 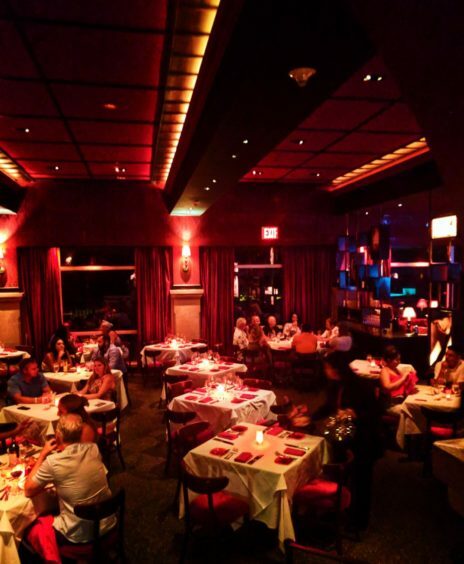 There is family friendly dining as well as upscale dinner options. And don’t forget that there is a funicular and waterpark. So yes, I’m completely ready to visit Puerto Rico again ASAP, particularly with the kids. 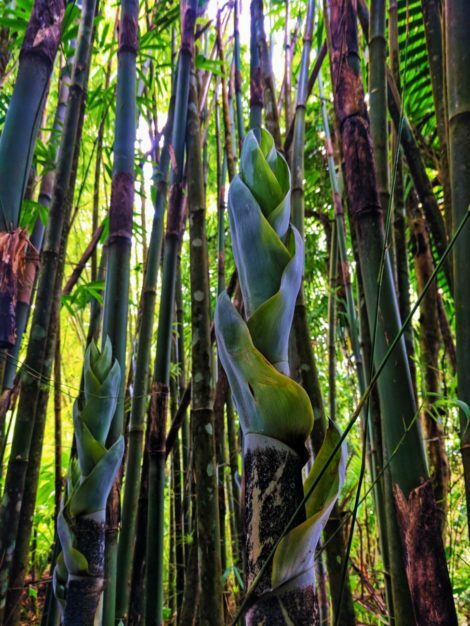 The options for being out in nature abound and the fun that can be had on Puerto Rico’s east coast is endless. 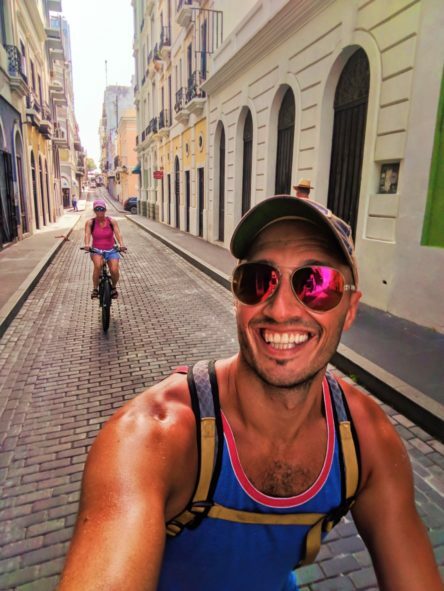 Overall, eastern Puerto Rico was on par or less expensive than vaction options on either the Atlantic or Gulf Coasts of Florida with the same amazing weather. The food was great and we felt safe everywhere we went. There is much more to Puerto Rico so watch for more detailed artcles to come, including some amazing ideas for exploring San Juan as well. 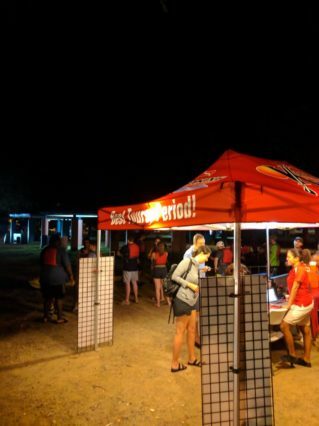 Want to pin this for when you start to make your plan to visit Puerto Rico? Go for it! Wow! This is great! I’ve always heard of Puerto Rico only from RuPaul Drag Race so it’s brilliant to see what’s there to offer on this island. Do you have to fly from Europe into US to change flights to Puerto Rico. Would love to get back to Puerto Rico to further explore Puerto Rican food. Hopefully the island is bouncing back from the hurricane.